The Government, Military and Veterans Affairs Committee heard testimony Feb. 14 on a bill that would make several changes to laws governing initiative petitions and recall elections, as well as close a loophole that prevents some 18-year-olds from voting in special elections. Sen. John Murante of Gretna, sponsor of LB1068, said he introduced the bill on behalf of Nebraska Secretary of State John Gale to make several changes and clarifications to state election law. 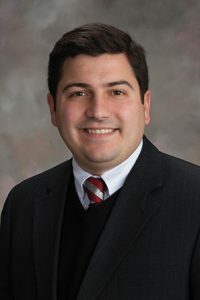 Murante said that one of the most important changes would close a loophole in current law that prevents a Nebraska resident who turns 18 on or before the day of a special election in the month of January in an even-numbered year and in January, November and December in an odd-numbered year from registering to vote in those elections. Under LB1068, those residents could cast a provisional ballot if they complete and sign a registration application before voting. LB1068 also would clarify what information on the state’s voter registration list may be made public. The bill would require the secretary of state, election commissioner or county clerk to withhold from a list of registered voters any information that is designated as confidential. The registrant’s name, address, phone number, date of birth, voting precinct and party affiliation, and certain other information would not be confidential. Wayne Bena, deputy secretary of state for elections, testified in support of the bill. He said the need for that clarification became apparent after numerous requests for access to the state’s voter registration list by the Trump administration’s Presidential Advisory Commission on Election Integrity. LB1068 also would specifically name the secretary of state—in addition to election commissioners and county clerks—as an official who may make copies of voter registration lists or provide them to the public. Additionally, any person who acquires a list of registered voters would be required to provide his or her name, address, campaign committee or organization name and a statement regarding the purpose of the list. Currently, the text of a proposed initiative or referendum petition must be filed with the secretary of state, who then transmits it to the revisor of statutes to review. The secretary of state provides the results of the review and the suggested changes to the sponsor but otherwise keeps them confidential for five days. LB1068 would make both the proposed measure and the review confidential. Bena said current law allows opponents of a measure to see its contents before the initiative’s sponsor can see if the revisor found any problems with it. LB1068 also would require the sponsors of initiative petitions to sign an affidavit certifying that the petitions have at least the number of signatures necessary to place the issue on the ballot if each signature were to be verified. If the total number of signatures is too low, whether or not they are valid, the sponsors would be liable for the cost to the state and the counties of the signature verification process. Douglas County Election Commissioner Brian Kruse, who testified in support of the bill, said that the county spent more than 3,200 hours and more than $37,000 in 2016 verifying signatures on two petitions that did not have the minimum number of signatures. “This was a true waste of taxpayer resources,” he said. In another cost-saving measure, the bill would allow the secretary of state to instruct election commissioners and county clerks to stop verifying signatures if the counties report that they have verified signatures in excess of 110 percent of the number necessary to place the issue on the ballot. Additionally, LB1068 would require the governing board of any political subdivision requesting the adjustment of election district boundaries to provide written notice and a revised boundary map that has been approved by the subdivision’s governing board. Sarpy County Election Commissioner Michelle Andahl, who also testified in support of the bill, said the current law on how those changes are requested is vague and does not clarify what documents or steps the political subdivision has taken to warrant changing the boundaries. She said the lack of clarity has caused problems for some cities in Sarpy County that are trying to annex other cities or asking to have their election boundaries changed. Finally, LB1068 would extend the window during which the governing body of a political subdivision may order a recall election. Under current law, the election may be held not less than 30 days nor more than 75 days after the notification of the official whose removal is sought. The bill would change the requirement to not less than 50 days nor more than 80 days.